Everybody loves spending money and yet money is something that most people struggle with on a regular basis. Fortunately, the solution is simply planning and budgeting. 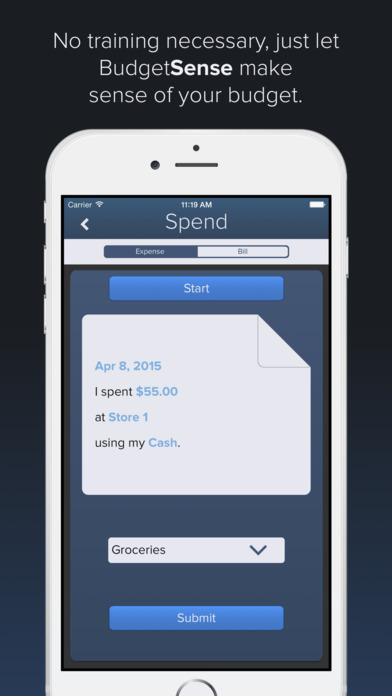 To do that, you can use an app like Budget Sense Free. 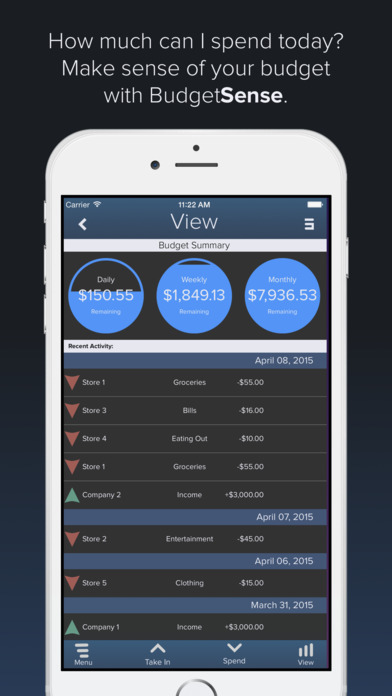 Budget Sense Free is an iPhone application that is devoted to helping you make the best of your pay check, spend less and save more for that elusive new MacBook or iPhone. Using Budget Sense is quite straightforward. It’s key benefit is based on user information so it will be your responsibility to provide accurate estimates of daily or weekly spending. The 2 main actions are spend and take in. Naturally, the spend button is likely to get used more, but at least it will force to track every cup of coffee and Big Mac that you’re paying for. Both of these actions offer ability to enter further details like the store at which you spent money or the company that deposits the payroll. This information is nice to have to have for filing purposes as well. The 3rd main functionality of the app is viewing the data you’ve entered and it, too, can be found in the main menu. This is where you get the most freedom to explore your spending habits and analyze where your money is really going and making adjustments accordingly. Overall, I found Budget Sense to be pretty good at keeping track of spending habits and the interface is simple enough to use. However, the graphics, interactions and general layout of the application is a little outdated, especially when compared to the modern standards. While this doesn’t directly impact the effectiveness of Budget Sense, it is definitely something that can greatly contribute to a much more superior product. 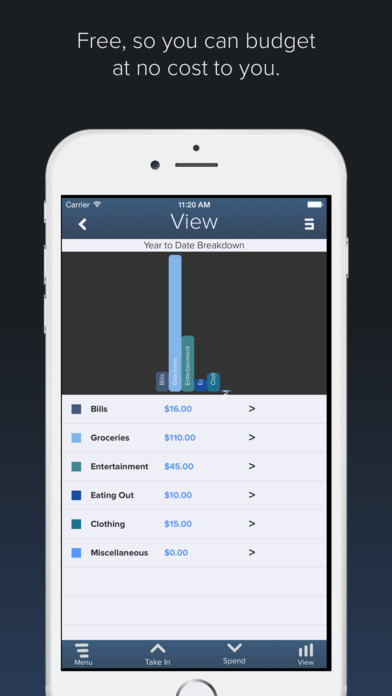 Check out Budget Sense Free for iPhone on the App Store!